Leslyn Keith, OTD, OTR/L, CLT-LANA, received a Master's Degree in Occupational Therapy from San Jose State University in 1998 and began studying lymphedema the same year. She was a graduate of Klose Norton Training & Consulting in 2000 and became LANA-certified in 2001. 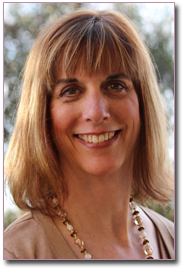 She has started four lymphedema therapy programs in California, two in private practice. In 2015, Leslyn completed her clinical doctorate in occupational therapy, with an emphasis on lymphedema and obesity. As well as treating lymphedema, she currently researches, consults, and lectures on lymphedema, obesity, and private practice issues nationally. Leslyn was the President of the Board of Directors of Enhancement, Inc., a non-profit organization working to improve the quality of life for breast cancer survivors and provider of networking conferences for lymphedema therapists until its closure in 2012. She is also a founder of the Central Coast SurviveOars, a dragon boat team for women cancer survivors, and has coached the team since 2007. Leslyn lives in Morro Bay, CA where she has fantastic ocean views!